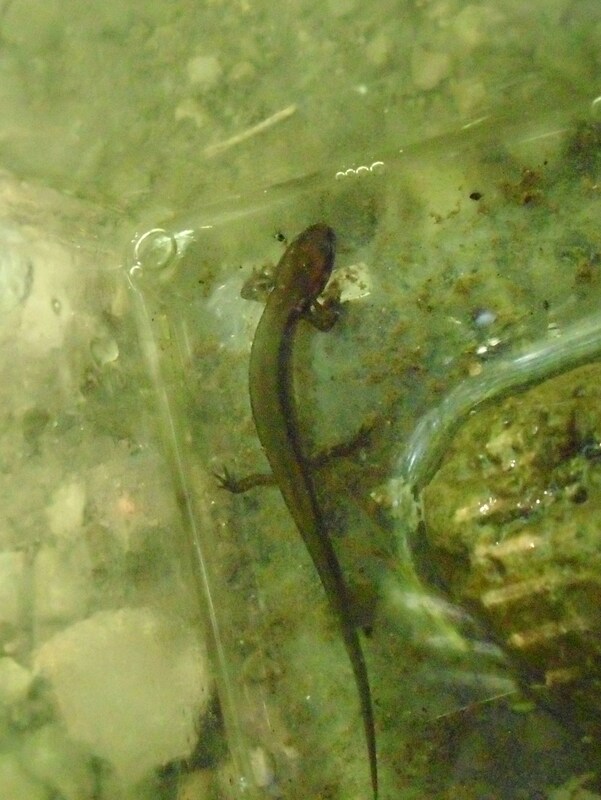 Last week when I took my group of campers to look for critters in the stream, one girl turned out to be a salamander-finding machine – in addition to an adult long-tailed salamander, she found several of what appeared to be young two-lined salamanders, judging by their markings. Admittedly this isn’t the world’s greatest photo, but if you look closely you can see that it still has gills on the sides of its neck. Is there a term for this stage of a salamander’s life cycle? I feel like it’s not an adult if it still has gills, but it’s not what I could call a larva either. A juvenile, maybe? In any case, this was at the exact same spot where I found what I guessed might be two-lined salamander eggs back in April, so I thought it was cool to come back now and find these. Very cool ! I am an amphibian enthusiast myself!